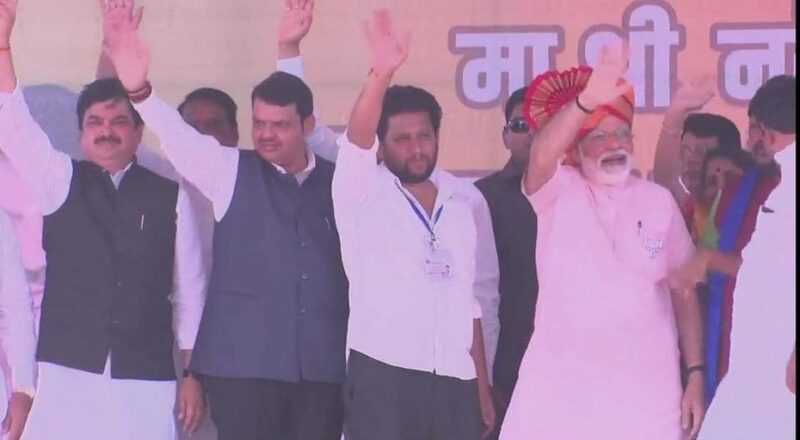 Prime Minister Narendra Modi attend Public rally on Friday in Maharashtra’s Ahmed Nagar District. 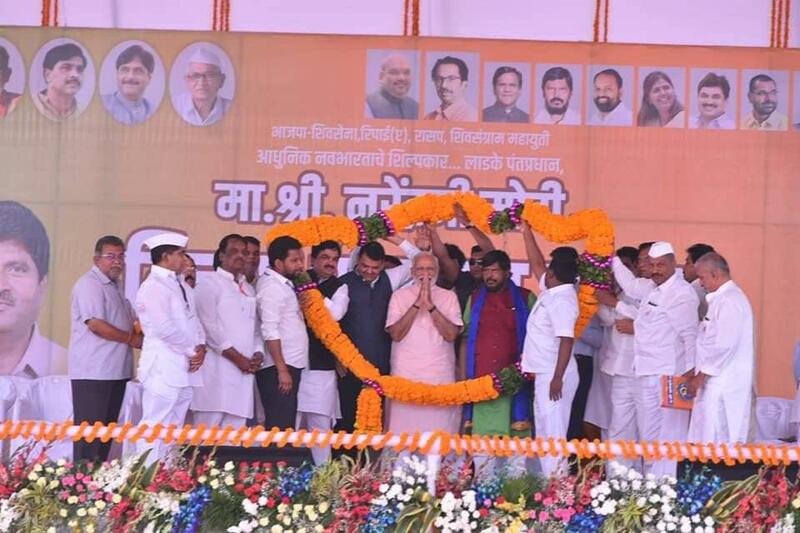 This Election rally was attended by CM Devendra Fadnavis, Union Minister Ramdas A thavle, Ram Shinde, Girish Mahajan and many more. PM Modi Election rally in Ahmednagar.